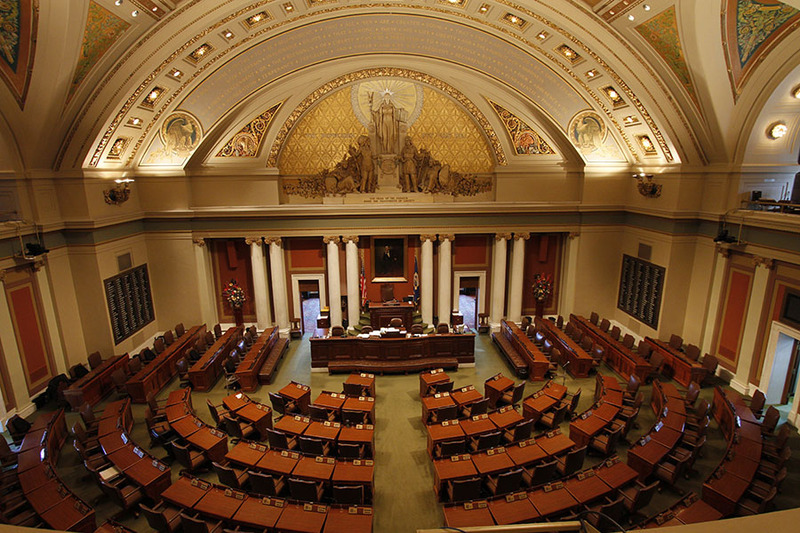 As part of the State Capitol Restoration Project, Alpha Video completed the design and integration of new HD broadcast systems for the Minnesota Legislature. Prior to the start of the Capitol Restoration Project, the broadcast systems for the Senate Media were located in the basement of the Capitol Building and for the House Media, on the third floor. The massive restoration of the Capitol required the relocation of the broadcast systems to the State Office Building. Since the systems were being moved, the decision was made to upgrade from analog to HD video and digital audio in order to provide the highest quality video communications to the citizens of Minnesota. While the legislature is in session, there are significant demands for video communications from live floor sessions, committee meetings, and press conferences. Often, these events are happening concurrently. 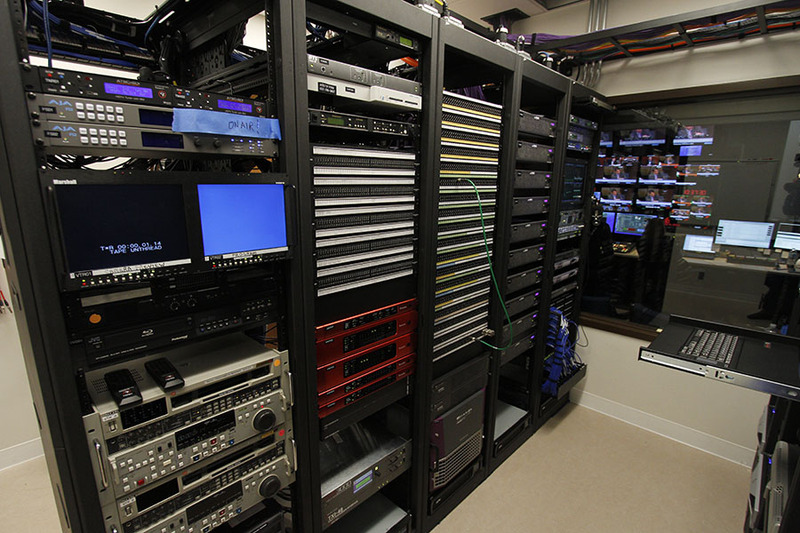 To meet this demand, Alpha Video designed and integrated two state-of-the-art broadcast control rooms, a third room for the equipment racks, and a fiber video network to connect the control rooms to the Capitol building. 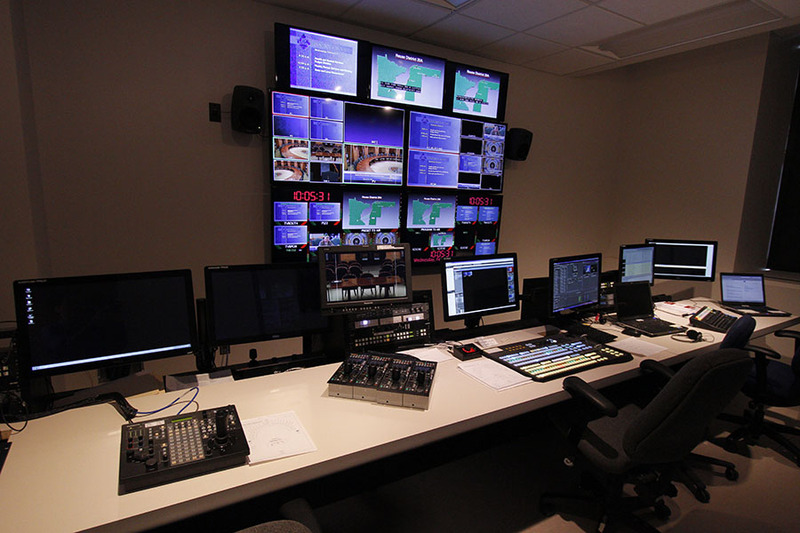 Each broadcast control room includes a Ross Video XPression Studio graphics system, Ross Carbonite production switcher, Grass Valley Stratus video production and content management system, Grass Valley K2 3G media server, and a Miranda master control package and routing system. To provide HD coverage of the activities during the legislative sessions, Alpha Video installed Sony HXC-D70 broadcast cameras on Ross Video Cambot control systems in the House of Representative and Senate Chambers. Alpha Video also installed Panasonic AW-HE120 PTZ cameras in three committee rooms in the Capitol building and two additional committee rooms in the State Office Building. Alpha Video is extremely proud of the role we played in the historic renovation of the Minnesota State Capitol. 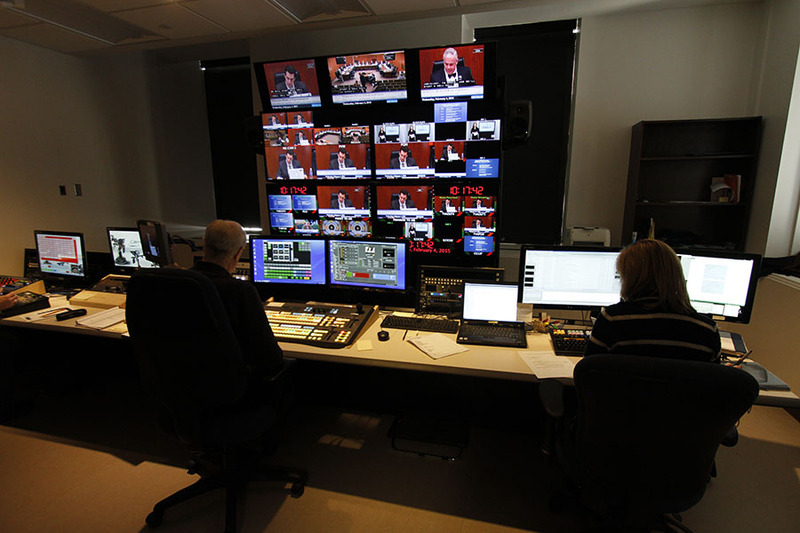 Thanks to the effective design of the control rooms and video network by Alpha Video's engineers, legislative technicians are now able to easily broadcast the daily legislative activities statewide through the TPT MN channel and streaming to the Internet. The technicians are also providing post-production programming to encourage the public’s participation in the legislature and archiving videos for posterity.